Is there a difference in cremation providers and what they provide? Yes! Be informed so you can make the best decision for your family member. Southern Cremations & Funerals is a 100% full-disclosure facility. That means you are welcome to tour all our facilities, including our state-of-the-art crematory that is located on our premises. Many operations use a central processing facility for all cremations or body preparation, so the body is transported several times. When we bring your loved one into our care, they are treated with dignity and care, and remain onsite in our facilities. We do not charge extra for ID Viewing. We want families to have the opportunity to positively ID their loved ones and have a chance to say goodbye. The ID Viewing is available for up to 6 family members, for up to 30 minutes, in our private Viewing Room. We offer Witness Cremation for families desiring that service. Our private, tastefully decorated Witness Cremation area is located adjacent to the crematory. We understand that some families request Witness Cremation for closure while other religious and cultural practices dictate that individuals remain in close proximity to the body until the cremation is complete. We offer five affordable Cremation Packages. These packages each include varied services and pricing, making it easier for families to make decisions concerning their loved ones. Click to view our Cremation Packages. We listen to and educate our families on all services available when cremation is chosen. 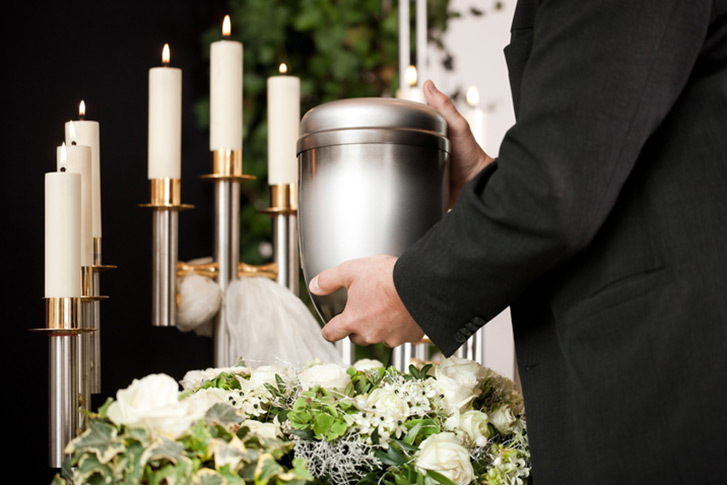 Many people don’t realize that when they choose cremation as a final means of disposition, they can still have any type of service that they wish. They can still have a viewing, traditional ceremony/memorial service, and any other type of remembrance that best represents their loved one.